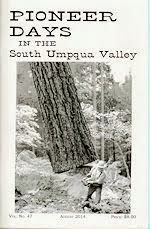 The South Umpqua Historical Society had its fourth quarterly meeting for 2015 at 2:00 p. m on November 1, at the Mason Lodge building on Pine street led by Marilyn Chandler, Board member. The minutes were approved. The Treasurers report was also approved and accepted. I guess you could call this issue our ‘Thanksgiving ‘ issue. Our local Masons of the South Umpqua Masonic Lodge #72 awarded the Historical Society a grant in the amount of $4800. Thank you so much. This money will be used to reprint two issues of Pioneer Days in the South Umpqua Valley books. Our Masonic Lodge has been a member of our south county community since 1879 and has endeavored to serve the local area through charitable actions and donations. Thank you so much Masons! The South Umpqua Historical Society also wants to thank the South Umpqua Gateway Cohort 2 members along with the Ford Institute Leadership Program for our recent gifts. First, the wonderful covered area north of our Pickett Building. This new ‘lean-to’ will help protect our horse driven wagons from the weather. The wagons are very happy as are members of the society. And people driving by can see the wagons and the good work. The Cohort 2 team consisted of 25 south county residents who took part in helping to preserve some of our history. And secondly, we have some new signs, glass for display cases and five mannequins. And some Cohort 2 members are now SUHS members. Welcome and thank you again. Another big THANKS goes to Charles and Delores Pickett for the 2 extensions of our Pickett Building. 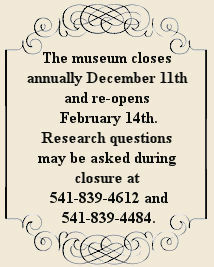 It is a wonderful addition to our museum and will be for our logging and mining displays. Thanks so much Pickett Family. Can you believe this is going to be the twelfth year we will have the ‘Echo’. My how time flies. I, Marilyn Chandler, especially want to thank Janice and her helpers at the Cow Creek Headquarters for copying this newsletter for us all these years. Thank you, ladies. 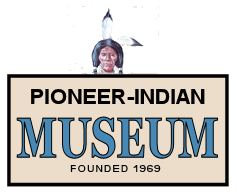 And finally, thank you members for your continued support and help to keep this wonderful museum up and running and to help us remember the Pioneers and Indians of the past for those of us in the Present and the Future. Jim Deaton moved and lived in many places while he was growing up and he longed for a permanent place to call home. Jim moved to Oregon and married his sweetheart, Gynn, in 1948 and built a home for his family in Surprise Valley. He finally had that home. Now after 87 years, with 67 of those years in his sweet home of Oregon, Jim has left us for his next home. But before going, Jim worked in sawmills, in the woods with his dad and he drove the Canyonville school bus in the mornings and afternoons and then drove a lumber truck at night. Jim had two service stations and then decided to work for Oregon’s Department of Transportation. He worked for ODOT for 21 years. Jim’s hobby was undoubtedly mowing with his John Deere. Jim had many things to keep him busy, including his five children, ten grandchildren and seven great grandchildren. Thanks Jim, for your love of Oregon and South County.